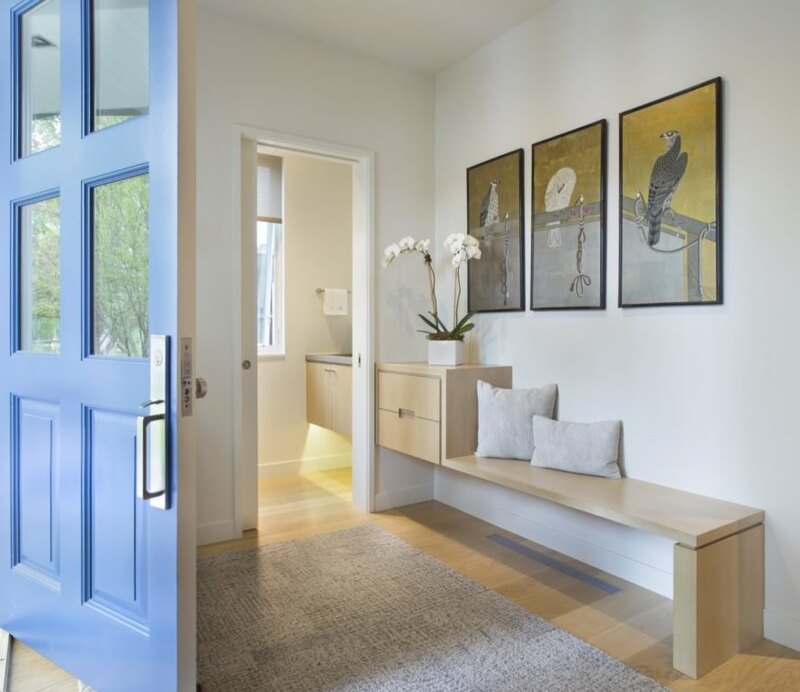 Aspen’s historic West End neighborhood is best known for its ornate Victorian houses, but one residence in particular is turning heads for its modern, award-winning design and LEED Gold certification. Local firm Rowland + Broughton Architecture & Interior Design designed the ground-up home — dubbed “Game On” — that splits a historic landmark lot with a neighboring late-19th-century home. 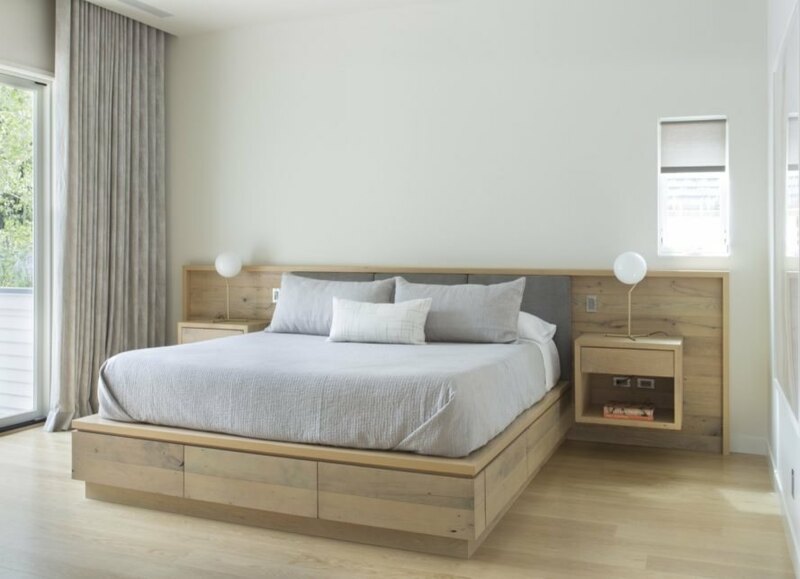 The new residence incorporates environmentally friendly and energy-efficient features throughout, from its solar roof tiles on the garage to its sustainably harvested materials palette. 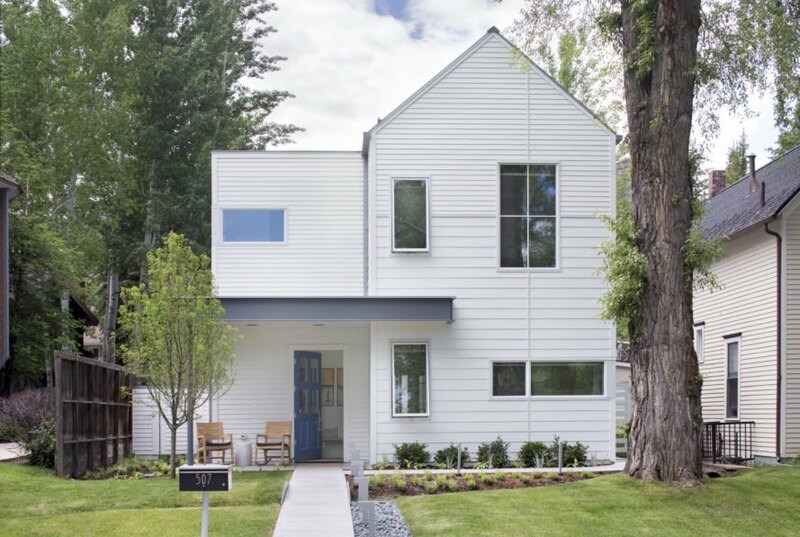 Constructed with a traditional gabled form and front porch that mirrors the surrounding architecture, Game On stands out from its neighbors with its clean lines and white-painted exterior. 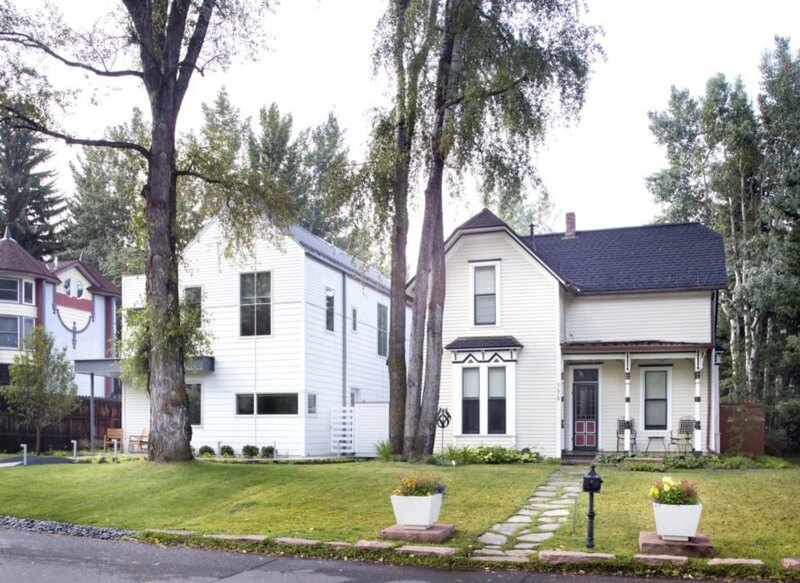 The 4,291-square-foot abode’s contextual design earned approval from Aspen’s Historic Preservation Commission. The minimal design approach carries over to the restrained landscaping as well. In additional to solar roof tiles, Game On minimizes its energy footprint with a highly efficient mechanical system, radiant in-slab heating and heat loss control. The sustainable water strategy includes high-efficiency fixtures and an irrigation system as well as a bocce ball court in the backyard that collects and filters all stormwater runoff. 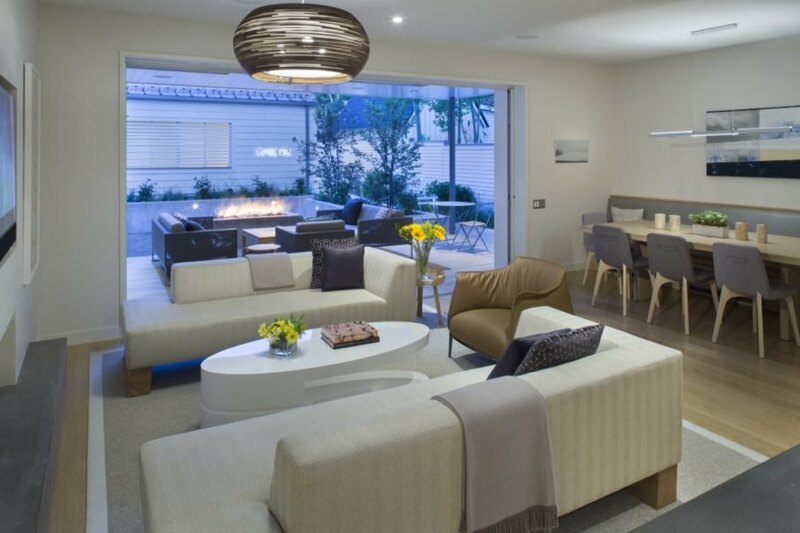 The interior is dressed in natural and recycled materials with no VOC paints for a healthy indoor environment. 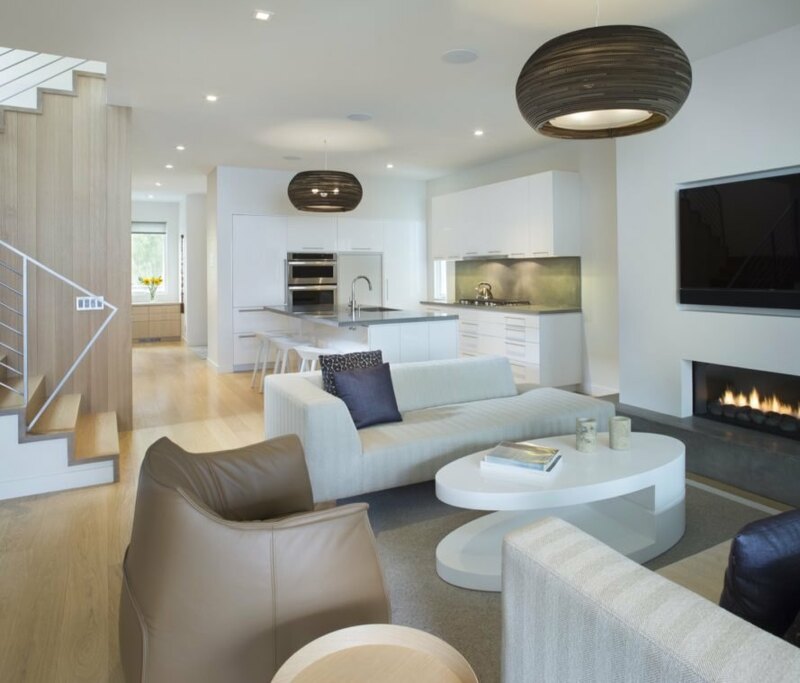 The LEED Gold home in Aspen provides its residence with a perfect space for entertaining. The house features minimal landscaping. A look at the entrance foyer. The open-plan great room includes a kitchen, dining area and living room. Operable glazing connects the home to the outdoors. The design was kept modern and minimal throughout. The gabled form mirrors the traditional vernacular.